Make your breakthrough happen through marketing! When using indie music marketing to market your image, one of your goals is to create an interest in you and your music even before potential fans have heard your music. This is vitally important. This is how you are going to get new people to come to your shows and buy your music – through indie music marketing. The way to generate new interest is by creating an impression of you through your artist image and your backstory. There are a number of assets available to help you along this path of indie music marketing. Use as many of them as you can. Every one of the assets has a purpose, and will appeal to different individuals, helping you to spread your influence wider. A well-crafted brand image will build desire in potential fans to want to know you and your indie music. You’ll find that people are drawn to your uniqueness. Your well-crafted image builds on your unique facets and creates hunger to know more about you and your music through indie music marketing. The first step in building your brand is to come up with a tagline. Why define your brand with a tagline? And once you’ve created your tagline, you’ll notice a few things are different. First, if your tagline is written correctly, it will be easier for you to focus on what you want to accomplish. When you write a song that just doesn’t “feel” right, you’ll know why, and you’ll be able to make the corrections so it fits better into your brand. Or when you get dressed for a gig, you can ask yourself if the man or woman in the mirror looks like the person your tagline describes. Second, your well-crafted tagline makes it easier for your fan base to remember you and relate to you. It creates a well-defined image that builds desire in your target audience to hear your indie music and come to your gigs. Third, you’ll stand out. Are you a singer/songwriter in a town of thousands of singer/songwriters, or an obscure band among hundreds? You’ll be noticed when you build on your strengths and unique qualities and make them part of your brand and a focus of your indie music marketing. And lastly, you’ll have more confidence – confidence in your music, in your appearance, in your image – because you’ll know exactly who your indie music persona is supposed to be. That’s the power of well done indie music marketing! How do I come up with a tagline for indie music marketing? Construct your tagline using building blocks that you already have. Place your uniqueness front and center. Define yourself musically. What is your genre? Your genre, or fusion of genres, could become a building block of your brand. What instrument(s) do you play? If your instrument is uncommon, it could become a building block of your brand. Do you use unique vocals in your music? Do you have a unique sound? Yes? There’s another potential building block. Is there something unique in your backstory? What makes you different as an indie musician? Another building block. Find your message and use it in indie music marketing. What is the general message of your indie music? Look for one recurring theme – is it comedy, love, spirituality, trucks, drinking, or something else entirely? Find your most consistent lyrical theme and consider using that as a building block of your Indie Music Marketing brand. For example, many of my songs have a philosophical message, so I incorporated “music philosopher” in my tagline: “Upbeat, Multi-Genre Music Philosopher”. Every person in business – even the music biz – needs well-branded business cards. Business cards – The foundation of your music biz visual assets. Well done business cards use fonts, colors, graphics, and a tagline to brand you as a unique indie music artist or band. In addition to the obvious contact info, a photo of you or your band is good to have on your cards. A logo may also be created and used. The elements of a good business card can be used to develop your visual image across all of your visual assets. Do not overlook this simple inexpensive biz building asset and indie music marketing tool. Get your well-designed business cards. Keep them with you at all times and hand them out freely. To get the most out of your performances and your networking, there are a few questions you must ask yourself as you learn about indie music marketing. Where do you fit in best as an indie music artist? Intimate venues or home concerts? Anytime! Great article about house concerts! Super helpful!! Clubs and parties are higher volume and higher energy. They are better venues for outgoing personalities or louder bands. Extrovert musicians will thrive in this atmosphere. What is your creative specialty as an indie musician? Almost every musician has a dominant strength. Even if you identify as a singer/songwriter, it’s likely that you still have a dominant strength. Do you excel in writing the melody – or the lyrics? Do your vocals have a unique style or timbre? Is your instrument your strength – Guitar? Keyboard? Violin? Maybe there’s something else you can identify as a strength of yours. Knowing these answers will help you to choose where you will focus your energy in performing and networking. Who is your target audience as an indie musician? Identifying your target audience will help you in deciding which venues to play, and which networking events to use your precious energy going to. Playing at a “country” venue when you’re a pop artist may not be of much use to you in the long run. Who do you want to hear and see you? This is important to know in indie music marketing, Most indie musicians want to be seen by industry professionals and by their current and future fans. Using indie music marketing can greatly help you to make that happen! Both groups expect more than just great songs or cool music. In today’s music market, they expect and demand a pro quality, well-branded image. So give them what they want. Your competition does. Give them a complete well-branded pro quality indie music marketing package! A well-branded professional image uses consistency in imagery, fonts, colors, patterns, photos, and more across all digital platforms. This is called Digital Branding. The essential for indie music marketing! What are the essential visual assets for an indie musician? Here is a list of the most important elements in creating your visual image. These elements need to have a consistent visual theme. Think of them as your indie music biz assets and part of essential indie music marketing. Convey your well-crafted image in as many of these places as possible – indie music marketing expanded. Your biography is your story. It’s all about you and your music background. Do you have a story? Of course you do. So have your bio – both long and short form if possible – professionally written. Use either the long or short as the “About” section on your website. Use the short form bio in press releases and social media and as a pre-written intro for announcers to use at your shows. If a media outlet wants to write an article about you, give them your long form bio. They may just cut and paste the whole thing into their article! This is the power of indie music marketing! Get one or get left behind by your competition. If your budget is tight, your website doesn’t have to be a several page site. It can be a one page website, as long as it’s well branded and has all the pertinent information. Just get it! We offer an Indie Artist Spotlight that includes permanent hosting at no extra cost. The IndieArtist Spotlight is an artist promo that is perfect for a one page web presence if you have very limited resources for indie music marketing. Your EPK – Electronic Press Kit – is a specialized one-page website that has all the information typically asked for by journalists, booking agents, venues, and other industry professionals. Having an EPK makes it easy for them to quickly learn about you and your music, and to access photos and other materials they can use. An EPK is an extremely useful, convenient, and inexpensive tool for self-promotion. It should include long and short form bios, news, downloadable photographs, music samples, videos, tour dates, stage plots, band contracts, etc. When someone contacts you, you just need to send them the link to your EPK with a short cover letter. With your EPK, you’ll have better access to gigs, press coverage, management deals, and more. Utilize this indie music marketing friend asap. A press release will make it possible for you to publicize your upcoming shows, new CDs or singles, tours, and more. For every new event in your career, have a press release written. Then send it to every media outlet that might be interested – newspapers back home or in the cities of your tour stops, music bloggers, radio and local TV stations. You’ll probably be surprised at how many more people show up for your tour dates or buy your music. It really makes a difference. A logo is a great way to have a quick visual so that your fans, potential fans, and music industry professionals recognize you as a solo artist or group immediately. Logos work best when visually simple. One possibility might be a computer processed artist photo with your initials artistically overlaid. Another possibility might be your name, in your chosen font, with a decorative border around it. Keep it simple. Nike does. This is what is seen before your music is heard. Make it work for you and your artistic strength. The design needs to be unique to the album, yet fit into your overall branding themes in indie music marketing. A well done graphic gig poster for your show can bring in people you are unable to reach using any other method. Your Facebook event can only go so far, but a gig poster can bring in people you don’t even know, just because they saw the poster and decided that you look interesting. Have one designed and printed for each and every show. They can be printed cheaply at office supply stores. My local UPS store charges just over $1.00 to print mine on very nice 11×17 paper. Plaster them everywhere, and have extras to take to your gigs to sell on your merch table. I don’t really need to tell you that you need to have a Facebook business page for your music biz. Digital branding is very important here as well as all your other social media outlets. Your cover image and profile photo needs to reflect who you are as an artist and an indie music marketer. On your Facebook business page, never post anything about political or social issues, unless that is your artist image. On all social media, posts with graphics get much better engagement than text-only posts. Daily posts are a must, so when you don’t have anything musical to talk about, think memes. Memes go over particularly well, especially if they are uplifting or humorous, with great graphic backgrounds. Check out our exciting Meme Subscription that has many Twitter follower accolades. A Twitter account is also very important. You’ll find that you reach different people on Twitter than you do on Facebook, and a Twitter account is easier to grow. The rules about never posting political or social apply to Twitter as well as Facebook. Using memes on Twitter gets amazing engagement, so consider a Meme Subscription. love it! Thank you for for sharing that! Gotta have em to retweet em ! Ya had em and click they go ! Make images consistent for best indie music marketing. Make your cover and profile images consistent with Facebook and your other online accounts. 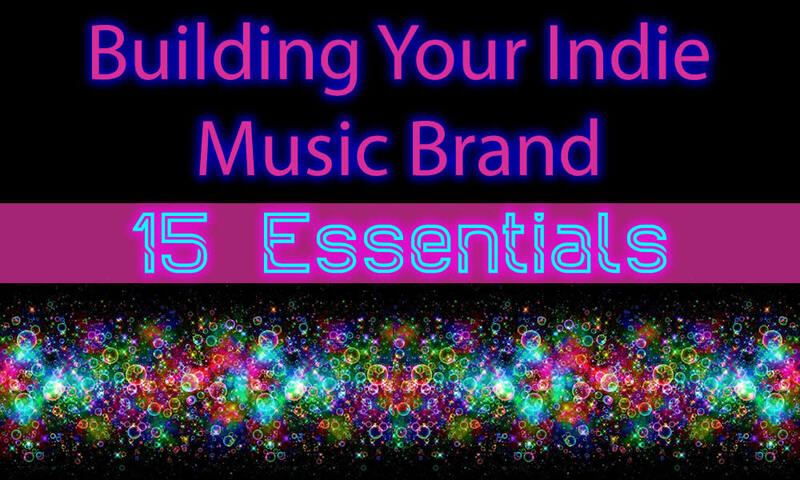 Consistency in branding builds your brand’s strength through indie music marketing. A blog is a great way to pass on information about your music and your life to fans and potential fans. However, if you’re not going to update it regularly, don’t have one. Only blog if you are willing to create a new post at least twice a month. Not sure what to write about? Write about your shows and your co-writes. Write about other artists’ shows that you saw and enjoyed. Write about your travels (even if you weren’t on tour). And very important – include good quality, interesting photos. Exciting photos give a boost to indie music marketing successes! Make the topic of each of your blog posts enough about you that fans can learn more about you, the artist, and you the person. Grow your relationships through indie music marketing! As your fan base grows, you’ll find that having merch for sale at every gig is a big money maker. Start small and grow your selection as your fan base grows through indie music marketing. What kind of merch should you have? ALWAYS have your music. Your most important item for sale should be physical CDs or EPs. From there, you can add anything that would make your fans happy and you happy as an indie musician and indie music marketer. T-shirts, mugs, bracelets, magnets, or food items with your brand on them – yes, those food items are actually available! Autographed anything – set list, gig poster. Coozies, patches, pins, key chains, handcrafted items. Stickers, buttons, posters, dog tags, shot glasses, hats… And make sure that every item has your brand on it. After all the above is done you can be more confident in yourself as a member of the music business. You can expect your creativity to increase as your confidence in your indie music marketing, branding and your music business grows! Remember, keep business cards with you at all times and freely pass them out! You never know when just one card in the right place will lead to a big break!